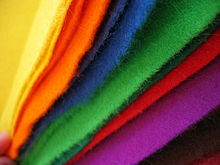 ↑ "What's the difference between wool, acrylic, wool blend, and eco felt? Part 1 Wool.". 31 March 2009.